On the southeastern coast of Spain sits Alicante, a fascinating city overflowing with a rich culture, dating back over 7000 years. 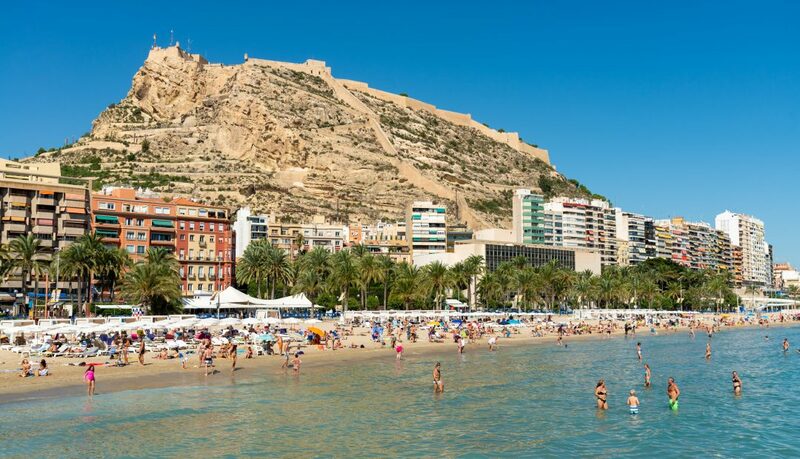 This coastal town is the capital of the province of Alicante and belongs to the autonomous community of Valencia. Being directly on the Mediterranean make it a hot spot for anyone looking for a vacation by the shore. People from across Spain and Europe travel here to experience its sunny weather. Through the year it is one of the most popular cities in Spain. Narrow streets and colorful buildings make it a one of a kind site. Having the opportunity to spend a summer here was the experience of a lifetime for me. With so much to see and do, I have chosen some of the highlights that every visitor will want to add to their itinerary when visiting this beautiful part of Spain. 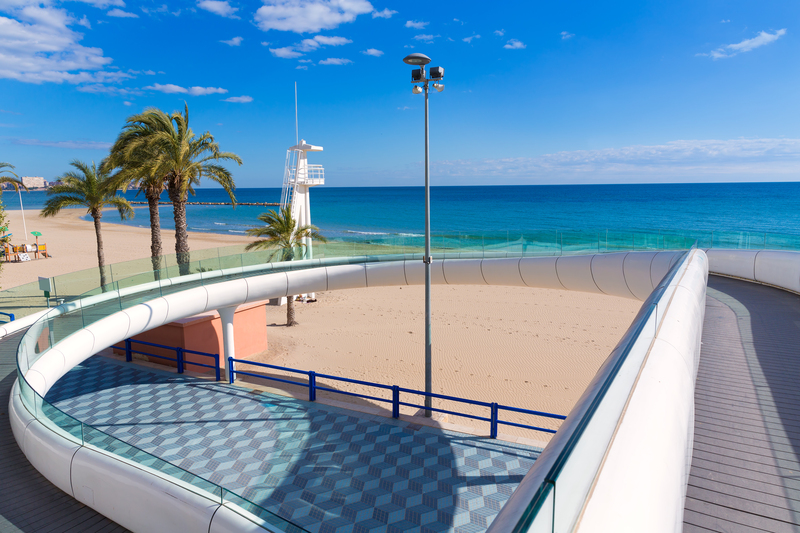 The mild Alicante climate makes it the perfect seaside destination. Right in the heart of the city is beautiful Playa del Postiguet, which is located at the base of Mount Benacantil and next to the Port of Alicante. Along the palm tree covered boardwalk you will find several bars and restaurants. Rent a beach chair on the sandy shore or take a dip in the blue waves, there are endless ways to enjoy it. The Explanada Promenade is one of the most popular areas in the city. It runs parallel to the port from the Puerta del Mar to Canalejas Park. 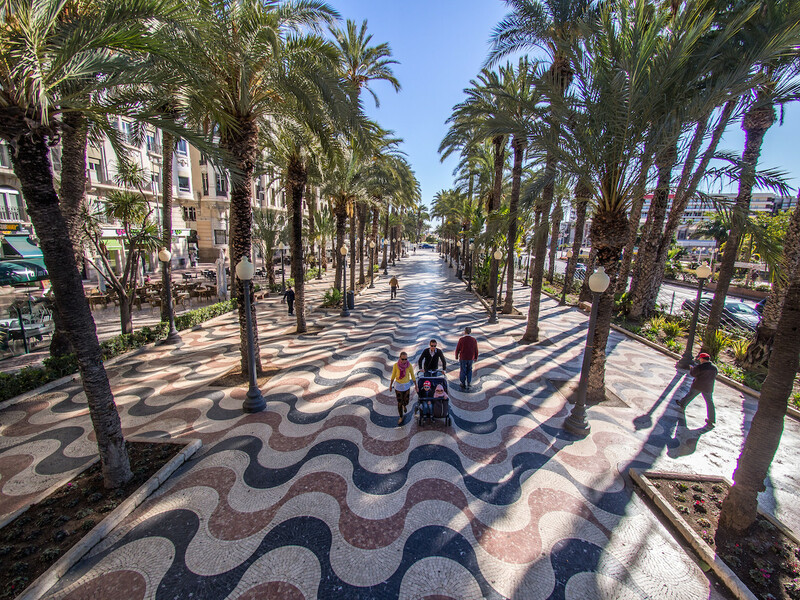 Recognizable for its tricolor marble tiles, it is the perfect place to walk, cycle, or run. Along the promenade are numerous bars, restaurants, and shops where you can get a taste for the local cuisine. Some of the best paella in the region can be found here, or stop at any one of the numerous ice cream stalls for something sweet. You can also shop for all the souvenirs you need at its outdoor market. Bring back hand crafted jewelry or local art painted right on the promenade. It is always bustling with life day or night. Located right in the center of the city, The Castle of Santa Bábara stands as one of Spain’s largest medieval fortresses, built in the ninth century and standing 545 feet above the city. Sitting at the top of Mount Benacantil the structure overlooks the entire city and is one of the city’s major attractions. Visitors can hike, drive, or even take an elevator to the top of the castle for a stunning view of the surrounding area. Along the way you can explore the castle grounds to find the ruins of the original church, a great moat, and a series of cannons that once protected the city. Inside the castle you’ll see the lookout tower, dungeons, and a lavish palace. Private tours are given by guides who can share the history of the castle and provide a glimpse in what daily life looked like for those living there. The castle walls also house the Museum of the City of Alicante. 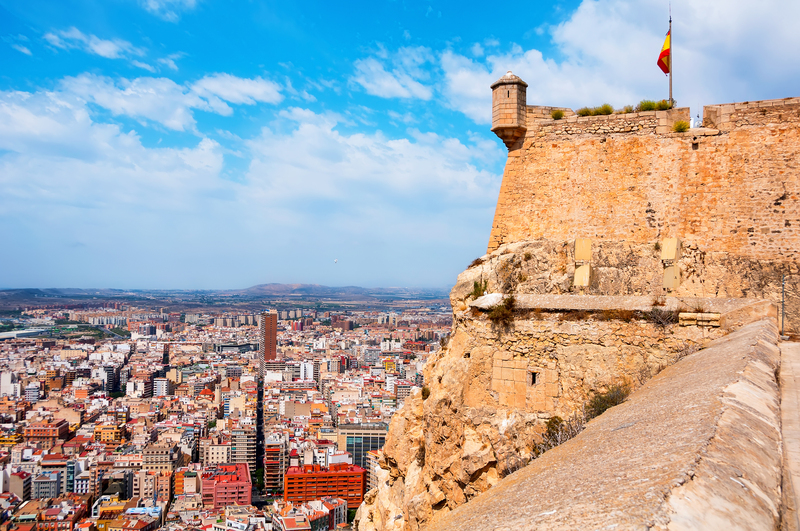 The MARQ is the perfect place to explore the history and culture of Alicante from the Paleolithic to Contemporary eras. It doubles as a research and education facility and an attraction for visitors who want to learn about the archaeology of this region of Spain. 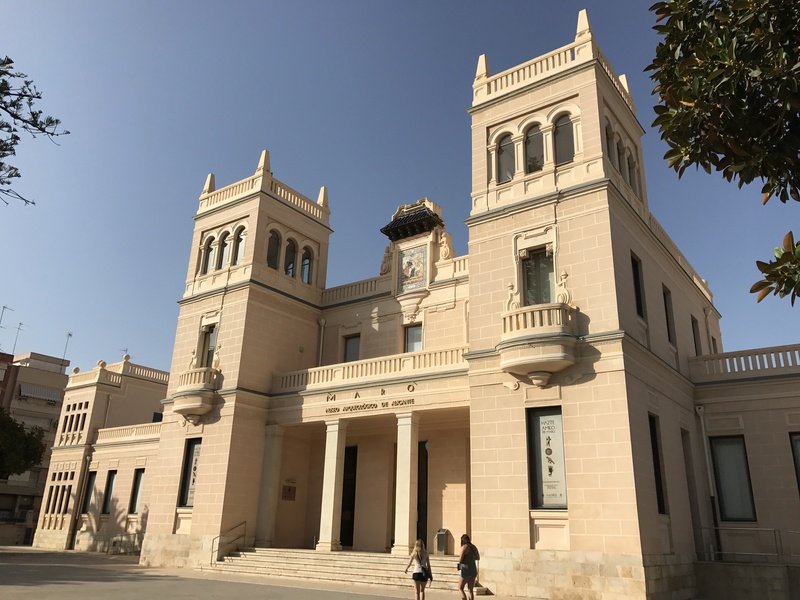 Divided into eight galleries, the exhibits take you through the local geography of Alicante, as well as the key periods in its history including prehistory, the Iberian Period, Roman times, the Medieval Age, and contemporary times. In addition there is a ninth gallery that houses a number of traveling exhibitions, making it a new experience every time you visit. 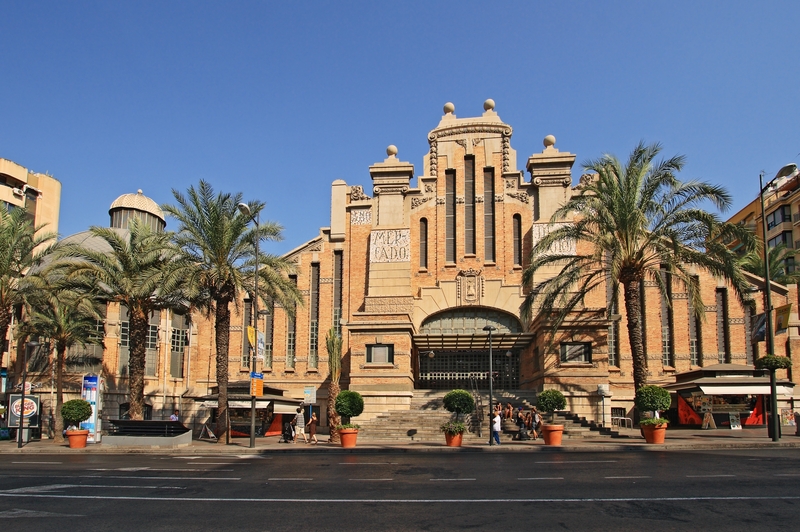 The Mercado Cenral de Alicante, or the Central Market of Alicante, is the best place to get a taste of the local cuisine. This large indoor market is full of local vendors, some whose families have been selling here since it first opened in 1921. It is filled with colorful fruits and vegetables, varieties of fresh fish and meats, and flowers for every season. Every morning, except Sundays, it opens at 7:30 A.M. and quickly fills with people browsing what is new that day. With more that 245 different stalls there is something for every ones tastes. Even if your not looking for a bite to eat it is worth the trip to see the magnificent building that houses the market. The Barrio de Santa Cruz is one of the oldest and largest areas in Alicante. Starting at the foot of Mount Benacantil, it is known for its narrow streets surrounded by colorfully decorated houses. It is considered one of the most beautiful neighborhoods in the city. Most of the streets here are pedestrian only, so it is a wonderful place for an evening stroll with the best views of the city. 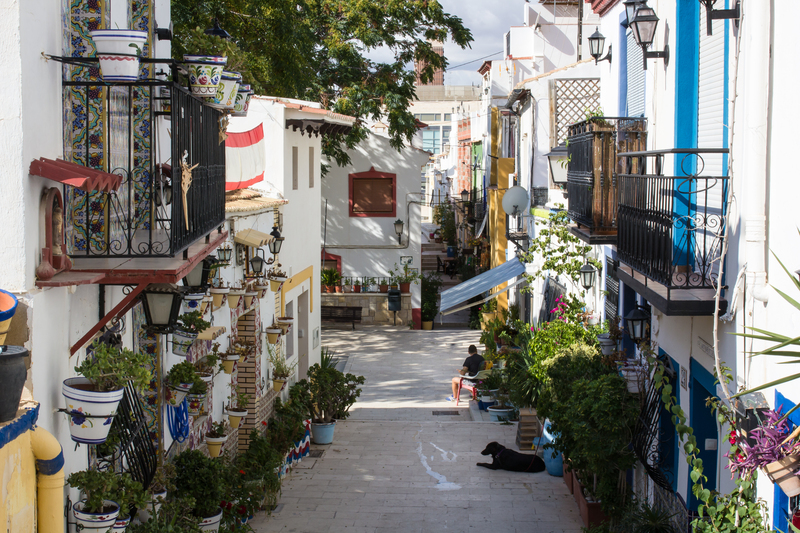 The most visited and photographed streets are Calle San Rafael and Calle San Antonio because of the rows of brightly painted houses and decorated flower pots. Each home has a unique appearance that make a great back drop for your next Instagram post. During the day you can find the locals sitting outside on their porches watching the children play in the streets, and at night you can enjoy a meal outside on the terraces of the small restaurants scattered throughout the area. 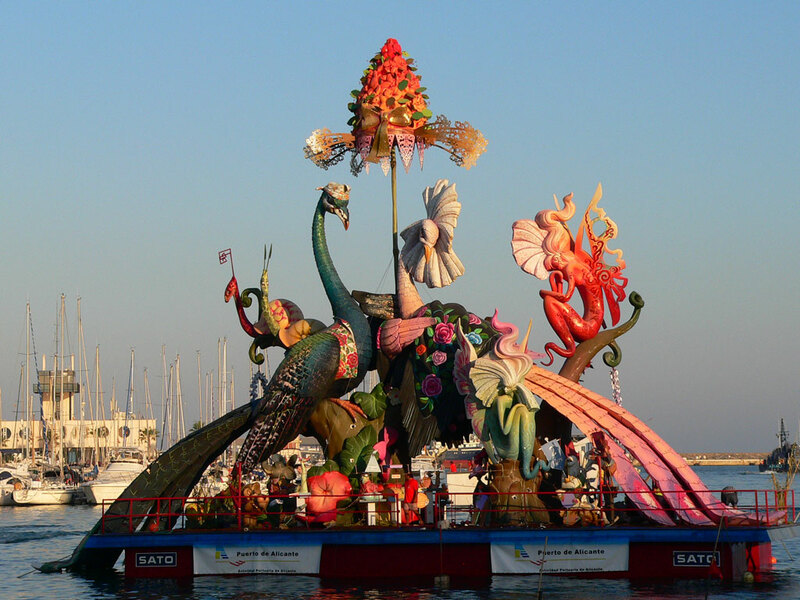 Las Hogueras de San Juan, or The Bonfire’s of Saint John, is a cultural celebration of the arrival of summer. While the official holiday is the evening of June 23rd, the festivities begin on June 19th and continue into the following week. Throughout the week there are firework displays every night and parades through the streets every day. The centerpieces of the celebration are the bonfires throughout the city. What used to be old furniture and spare wood are now beautiful pieces of art that are displayed in the middle of the streets during the festival. Roads are closed to house them and barracas, or stalls, are set up along side each one. Once it is dark, the barracas open to the public and music is played late into the night. There is a different party happening on each street corner. At midnight on the night of June 23rd the burning of the bonfires takes place. 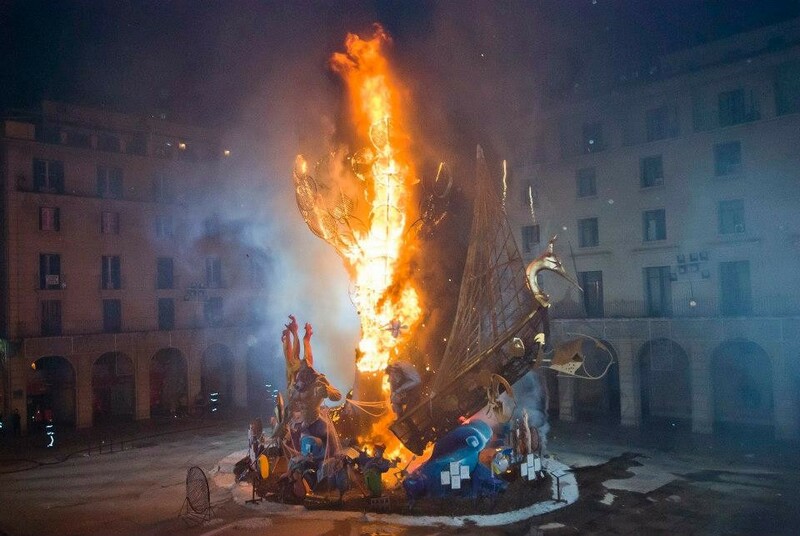 One by one the large pieces of art that stood in the streets are set ablaze. While they burn firefighters spray the crowd with their hoses while people chant “agua, agua”. It is a night that brings the local community and thousands of visitors together every year.